Hey, guys! 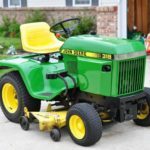 Are you looking for the John Deere Lawn Mowers Small Tractors price, Key Features, Specifications? 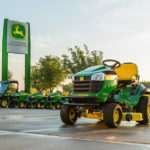 then you are landed at perfect place cause here in this article, we provide all kinds of John Deere Lawn Mowers Tractors information like Price list, Specifications, Photos, Key Features. 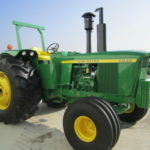 We assure that all kinds of information are very useful to you for buy or sells John Deere Mini Tractors. And our Goal is to provide you with all types of genuine and reliable information because we believe in truth. 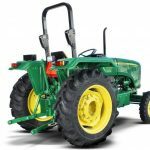 The John Deere D105 tractor is fitted with an automatic transmission. It is suitable for mow up to one-half acre with some. 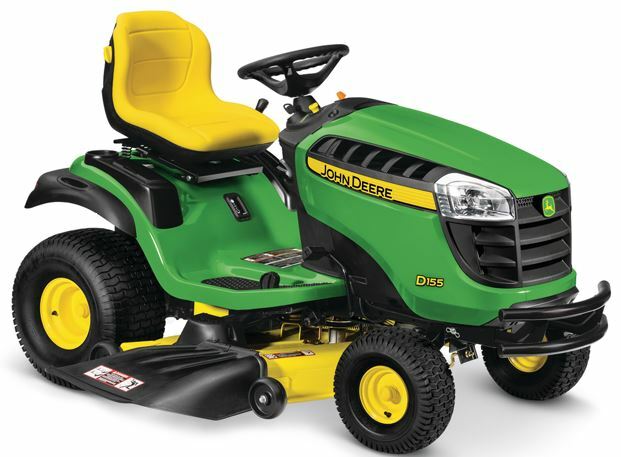 This 17.5-HP, single cylinder, John Deere engine has lots of power and torque. D105 can handle tough mulching, mowing, and bagging conditions. The solid, one-piece frame is made from 12-gauge, 11-in. welded steel for maximum reliability. The automatic transmission allows the operator to easily choose the desired forward or reverse speed by depressing a single foot pedal. There is 42-in. Edge Stamped steel deck shell a deep deck design to provide super performance and cuts the grass with 1”(in.) to 4”(in.). There is comfortable 11-in, heat resistant adjustable seat is fitted with seat controls. The D105 also contains the comfortable features with a cup holder to its side. 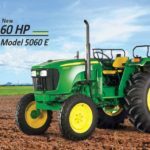 John Deere D110 has branded 17.5 HP engine for powerful performance. D110 engine has high power and torque for handle tough mulching, mowing, and bagging conditions and most suitable for a flat land with 1-2 acres. An automatic transmission allows to the operator for fast speed and direction change which means you spend less mowing operation time. The D110 mower is made from a high strength steel frame which provides maximum reliability to ensure this mower has a long life. Turning Radius of D110 is very good in its class. 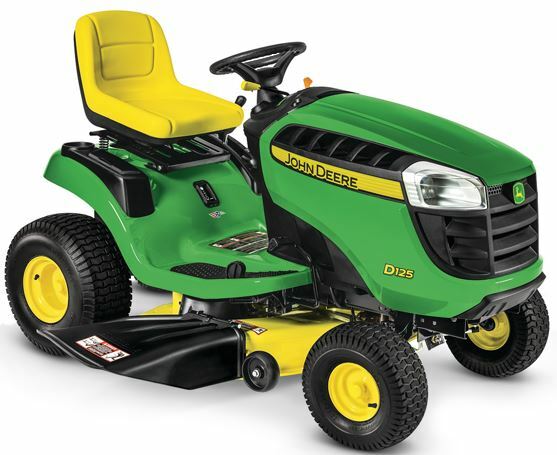 If you have to mow for small landscape ground the D110 is the best option for you to mow around the 18-inch turning radius is good. D110 is easy to operate there is large pedal on the right to go forward travel. The small pedal for reverse. There is a parking brake is also on the left. The D125 model is fitted with V-Twin engine producing the high power of 20 HP and torque, that powers the 42-inch deck using hydrostatic transmission and dual pedal foot operation. The hydrostatic transmission allows for fast and efficient speed and mowing operations. It can reach at 5.5 mph. Fast direction changes which mean less time for mowing operation. The mower is built from full-length high-strength steel frame which provides better strength to ensure this mower has a long life and reliability. Warranty 2 year/120 hour bumper-to-bumper* (*Term limited to years or hours used, whichever comes first, and varies by model. 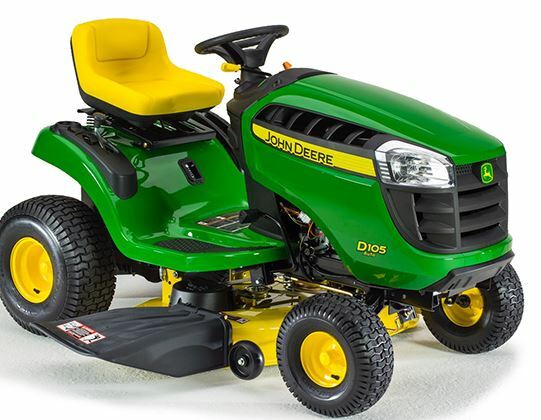 The John Deere D130 has powerful 22-HP, V-Twin, John Deere Branded engine. It has lots of power and torque for handle tough mulching, mowing, and bagging conditions. It is most suitable for flat 1-2 acres. There is a solid, one-piece frame is constructed of 12-gauge, 11-in. welded steel for maximum reliability. The hydrostatic transmission with a two-pedal foot control system and cruise control provides easy forward and reverse operations and high speed. Its 42-in. Edge Cutting System has a deep deck design for superior performance and even it can cut with 1”(in.) to 4”(in.) cut. For comfort there is comfortable 15-in, heat resistant seat provides extra operator comfort. It is adjustable using seat controls. And in additional features there are cup holder/storage compartment to its side. 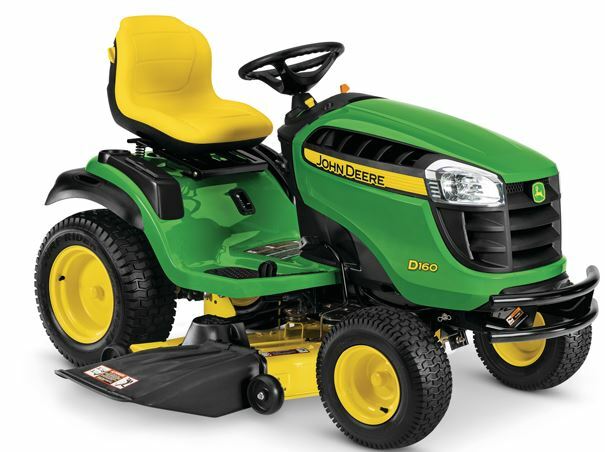 The John Deere D140 contains 22-HP, V-Twin engine has great power and torque. D140 is able to handle tough mulching, mowing operations, and bagging conditions. It is most suitable for mowing 1-2 acres ground. There is one-piece welded steel frame is constructed of 12-gauge, 11-in. for maximum reliability for D140. The D140 comes with hydrostatic transmission system with a two-pedal foot control and also a cruise control, which provides easy forward and reverse move and speed choices. It’s 48-in. Edge Cutting System is designed for has a deep deck design to provide superior performance. It can cut with 1”(in.) to 4”(in.) height selections. The additional feature for comfort there is 15-in, heat resistant seat which provides the operator comfort. It is adjustable by using seat controls. There is also cup holder/storage division to its side. 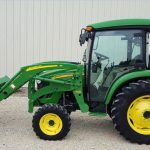 The John Deere D155 contains 48 in. (122-cm) Edge Mower Deck that is for side-discharge, mulch, or bag, design to lift grass for a superior cut with a smooth underside to prevent grass buildup. The cut height selections are range from 1 in. to 4 in. in 1/4 in. There is a (38.1-cm) seat with adjustment for a better comfort level in D155. For added convenience there is an Electric mower PTO control. In the cutting edge system it’s 48-in. Edge is designed to provide better performance. It can cut with 1”(in.) to 4”(in.) height selections. D155 comes with Two-year/120-hour bumper-to-bumper** warranty for increased customer’s confidence and satisfaction. 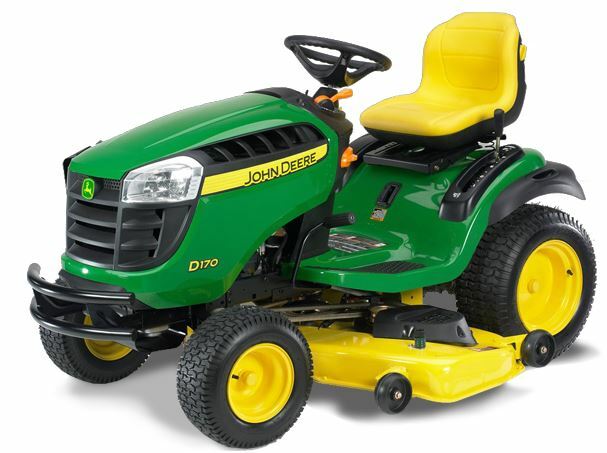 The John Deere D160 comes with 25-HP, V-Twin ELS engine has great power and torque. D160 can able to handle tough mulching, mowing, and bagging conditions. D160 is most suitable for 3-5 acres. The solid welded steel 12-gauge, 11-in. one-piece frame is made for maximum reliability. There is a hydrostatic transmission with two pedal foot control system and cruise control. Which provides easy forward and reverse speed. The 48-in. Edge Cutting System is designed to provide better performance and it can cut with 1” to 4” cut height. In addition there is a comfortable 15-in, heat resistant seat which provides extra comfort to operator. It is adjustable by using seat controls. There is also cup holder/storage compartment. 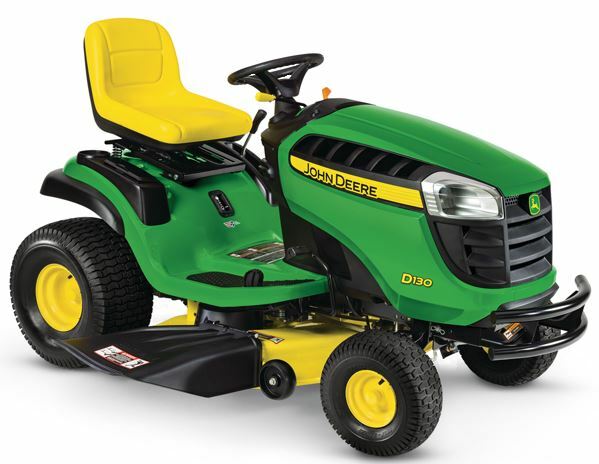 D155 comes with Two-year/120-hour bumper-to-bumper** warranty for increased customer’s confidence and satisfaction. 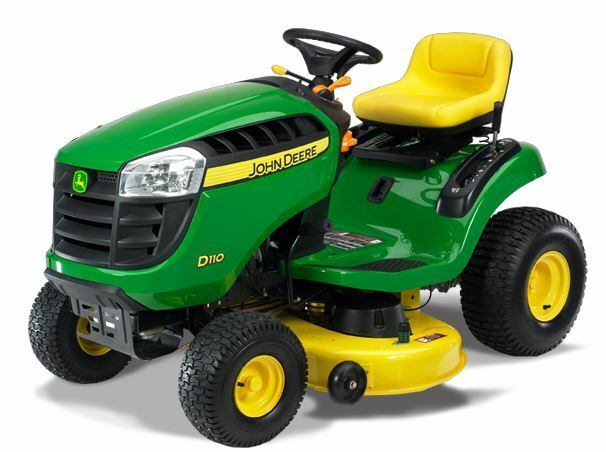 The John Deere D170 comes with 25-HP, V-Twin ELS powerful engine has great power and torque. The D170 is made to handle tough mulching, mowing, and bagging conditions. D170 is most suitable for a flat 3-5 acres land. There is a welded solid steel one-piece frame is made of 12-gauge, 11-in. for maximum reliability. The modern hydrostatic transmission with a two pedal foot control system and cruise control, provides easy forward and reverse speed. There is 54-in. Edge Cutting System is designed to provide better performance and even cuts with 1” to 4” cut height selections of grass. In additional feature for comfort there is a comfortable 15-in, heat resistant seat provides extra comfort to the operator and it is adjustable by using seat controls. There is also cup holder/storage in it’s compartment. 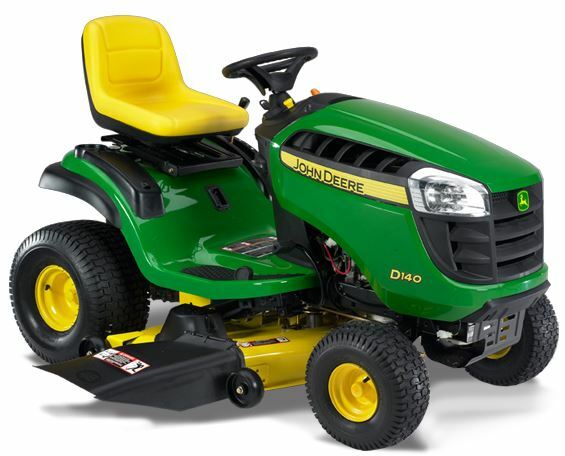 D155 comes with Two-year/120-hour bumper-to-bumper** warranty for increased customer’s confidence and satisfaction.